Do you ever feel like you're unseen? I don't just mean by grandparents on Facetime (Show me the children!). I mean in your day-to-day life. I have a confession to make. Sometimes, I feel like a little less myself during this stage of motherhood. A little less interesting during the conversation at girls' night out. A little less valuable when I see others out pursuing my career. A little less than. I truly believe that raising my kids is the most important work I will ever do, but some days I feel small. Last week, as I was rewashing the same load of laundry for the fourth time and considering buying the whole family new underwear as a valid alternative to the daunting pile of dirty clothes, I just sat down. The baby was napping and Emily, my inquisitive toddler, climbed up in my lap. "You sad, Mom?" she asked. Lately Emily's been very interested in emotions and has mastered an expressive face for each one. I gave her a big hug. "You cheered me right up!" I replied. She trotted off, pleased as punch and I thought about what she said. I wasn't SAD exactly. I was just feeling small. Don't get me wrong. I know how fortunate I am to be able to spend this time at home with my girls in our comfortable home, but some days? 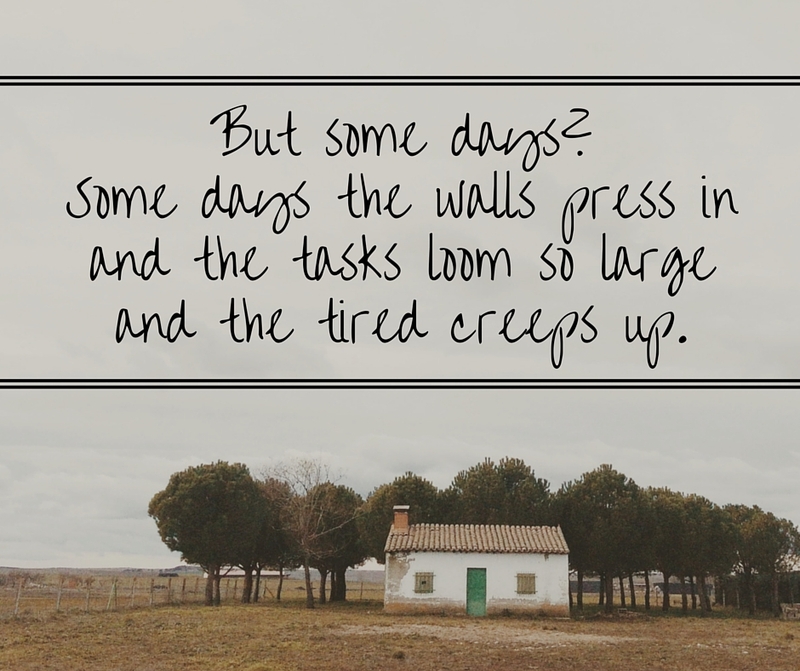 Some days the walls press in and the tasks loom so large and the tired creeps up. On those days, motherhood feels like one long version of the movie, "Groundhog's Day." Clean up, feed everyone, clean up, soothe the babies, clean up, change the diapers, clean up, repeat. Kelsey at The Home Loving Wife wrote a practical article on ways to live simply and live well and I couldn't agree more with her on the value of routines, goals, and self care in helping us moms keep perspective in our day-to-day lives, but sometimes I need the why even more than the how-to. I've been so encouraged by the ministry of author, Sally Clarkson. 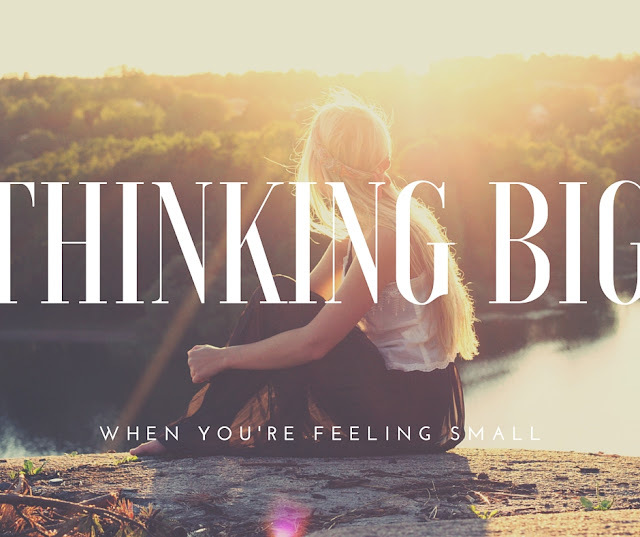 It's thinking big when you're feeling small. Seeing these tasks as service not to my kids and not even to my husband, but as an act of worship to the God who came down small to earth to reach me resets my focus. It's like zooming out on Google Earth and seeing the big picture. Humour amid the Huggies. Wisdom in the whining... and maybe even, love in the laundry. This post was originally published on The Home Loving Wife. Style Perspectives - Flower Power! Strolling in Style - Valco Baby's Back in Canada! Oh Perfect Mother Where Art Thou?